If you or someone close to you is suffering from a butalbital addiction, it may be time to find a recovery program. With the right treatment, you can free yourself from your addiction and move forward with your life. But the first step in this process is admitting that you need help. When you are ready to take that step, we can help you find the best butalbital treatment center for you. Who Answers? if you or your loved one is ready to get help for butalbital addiction. A recovery support specialist can help you choose a program based on your insurance coverage. Butalbital belongs to a group of drugs known as barbiturates, which are central nervous system depressants. When butalbital is combined with drugs such as aspirin, acetaminophen, or caffeine – as is found in brand-name formulations like Fioricet and Fiorinal – it can be an effective way to treat headaches or migraines. In spite of their efficacy, however, these compounds can be highly addictive. Regular abuse of the drug can lead to physical and psychological dependence, and users who become dependent may begin to display patterns of addictive behaviors. Using more butalbital than you intended. Spending less time on activities that you once enjoyed. Showing poor performance and attendance at work or at school. Taking risks to obtain butalbital. Struggling with relationships and receiving complaints from coworkers, supervisors, teachers, or classmates. Making an effort to hide butalbital use from others. Diminishing attention to maintaining hygiene and appearance. Building a tolerance to the drug, so that the person needs more and more of it to achieve the same effects as before. Experiencing withdrawal symptoms when use is stopped or reduced. If you are worried about your or a loved one’s butalbital use, call 1-888-319-2606 Who Answers? today. We can help you find a butalbital rehab and recovery program. If you have decided to get help for your addiction and are looking for treatment centers, you may encounter both inpatient and outpatient recovery options. Inpatient or residential butalbital treatment centers provide 24/7 support for the entire length of the program. The length of the program may vary, but most residential programs last from 30 days to 90 days. During that time, you will attend counseling sessions. You will also learn how to alleviate stress or boredom without turning to drugs. If you suffer from anxiety, depression, or other mental health problems, you will also learn the best ways to deal with those issues. Enrolling in a residential program allows you to place full focus on your addiction treatment by helping to alleviate any stresses or other factors in your home environment that might prove counterproductive to your recovery. Most importantly, you give yourself the best possible chance for a successful rehabilitation. Standard/basic: Core services for these programs usually include a detox period, followed by individual and group therapy, and careful aftercare planning. Additional activities and therapies may include art and music therapy, recreational activities, 12-step meetings, and yoga and meditation. Most participants share rooms and eat in a cafeteria-style setting. Luxury: Luxury butalbital recovery centers offer similar services to standard programs but include added features such as fine dining, private rooms, swimming, and linen services. These facilities are often are set amongst beautiful surroundings and will generally be more expensive than basic programs. Executive or CEO: Executive programs are luxury programs that are designed for busy professionals. They include detox, therapy, and aftercare, but offer additional amenities such as meeting rooms, Internet service, and workspaces. Outpatient programs are another option for butalbital addiction. These are part-time programs in which you attend treatment sessions for a few hours at a time on certain days of the week. Many people elect to participate in some form of continued outpatient care once they’ve completed a stay at an inpatient facility, but some people use outpatient as their primary form of treatment. 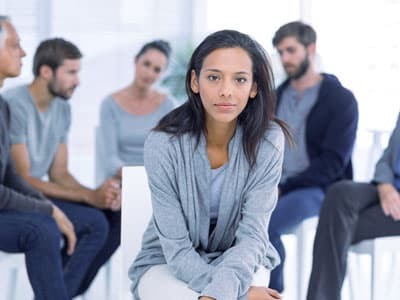 Outpatient programs are great for recovery maintenance and as an initial form of treatment for people who have relatively less severe addictions, have a good support system, do not need detox, and do not have a co-occurring mental health or medical condition. Location. Sometimes, a person can greatly benefit from seeking treatment away from home. They may be surrounded by triggers and friends and family who use. Other people like to be close to their support system during treatment. Inpatient vs. outpatient. Inpatient is usually more expensive, but it provides a focused environment for recovery and, in many cases, a medically supervised detox, when necessary. Visiting policy. Find out whether the program allows visitors. Some programs don’t allow anyone to visit for the first few weeks. Treatment philosophy. Different programs take different approaches to treatment. Find out what the program’s philosophy is and make sure it’s in line with your own values. Staff qualifications. Look for programs that employ staff who are licensed and certified. You can also ask if they have experience treating barbiturate addiction. Treatment can take many different forms, and the type of treatment you ultimately choose will depend upon your personal preferences and healthcare needs. Programs should tailor treatment to the individual. The program tailors treatment to the individual. The treatment center addresses the addiction along with other issues and needs of the individual – such as mental and medical health issues, employment status, and legal entanglements – that may be associated with the addiction and may impact recovery. The treatment center allows the recovering user to spend an adequate amount of time in the program. The program uses a variety of counseling or other types of behavioral therapy. The program offers medication-assisted treatment options and combines medication with counseling and other behavioral therapies. The program monitors drug use to guard against relapse. Who Answers? to speak to a recovery support representative about butalbital detox and recovery programs in your area. If you are physically dependent on butalbital, the first step after you are admitted will be detoxification. During this process, you may experience uncomfortable withdrawal symptoms. Symptoms of barbiturate withdrawal may begin shortly after the last dose and will progress over the course of days to weeks. Some of these symptoms – including seizures, convulsions, and delirium – are quite severe, and can even be life-threatening, which is why many butalbital addiction recovery programs help users to gradually come off the drug. Some approaches to withdrawal involve giving the person his or her regular dose of the drug, and then decreasing it daily based on the person’s tolerance level. The safest way to detox from butalbital is to seek medically supervised detox at an inpatient facility or detox center. A physician or other healthcare provider can monitor you for any physical or psychological complications. After detox completion, you or your loved one should continue your recovery in some formal treatment program that includes behavioral therapy. Whether you choose inpatient or outpatient. How long you remain in treatment. Whether you need treatment for medical or mental health problems. Where the program is located. How many/what kind of amenities the program includes. Many butalbital inpatient recovery programs take insurance for payment. However, the coverage will vary, and you will probably still have some out-of-pocket costs. Payment plans or sliding scale. Most treatment facilities will work out a payment plan with you or adjust the cost based on what you can pay. Scholarships. Programs sometimes offer scholarship or charity treatment to people in need, though these options are rare. Still, it’s worth asking about. Credit cards. You can also use a credit card to help cover the costs. Just pay attention to the interest rate and make sure you will be able to make regular payments on the balance. Using savings. If you have enough money saved, you can tap your savings account or borrow from friends and family. Taking out a loan. Some companies, such as Prosper Healthcare Lending and My Treatment Lender, provide special packages to people who need addiction treatment. Crowdfunding. Creating a campaign on a site such as GoFundMe is another option to help pay for treatment. If you or your loved one is ready to find a butalbital recovery facility, we can help. Call 1-888-319-2606 Who Answers? to speak to one of our rehab placement advisors, who can answer questions about insurance and help you start the path to recovery.
. National Council on Alcoholism and Drug Dependence. (2015). Signs and Symptoms.
. Sarrecchia, C., Sordillo, P., Conte, G., & Rocchi, G. (1997). Barbiturate withdrawal syndrome: a case associated with the abuse of a headache medication. Annali italiani di medicina interna: organo ufficiale della Societa italiana di medicina interna, 13(4), 237-239.
. National Institute on Drug Abuse. (2012). Principles of Effective Treatment.